In 2013 Team Milwaukee was reborn with 17 athletes, 1 delegation head, and 3 coaches. That was my first year for Maccabi and I have been hooked since. The JCC Maccabi Games is an amazing experience for not only the teen athletes but for anyone who is able to attend them, whether that is as a coach, spectator, volunteer, host family, sponsor, or staff member. The Games are a great place to foster new friendships and interests that may not have been there before. I still keep in contact with a few coaches that I met while I was in Austin. There are many different ways to get involved in The Games. With that being said, the level of involvement also ranges. We have opportunities for those who are looking to help out for one shift for 2 -4 hours during The Games and then we have the opportunities for those who want to get involved now. The opportunities are endless; we will find a place for everyone! This is a once in a generation experience. 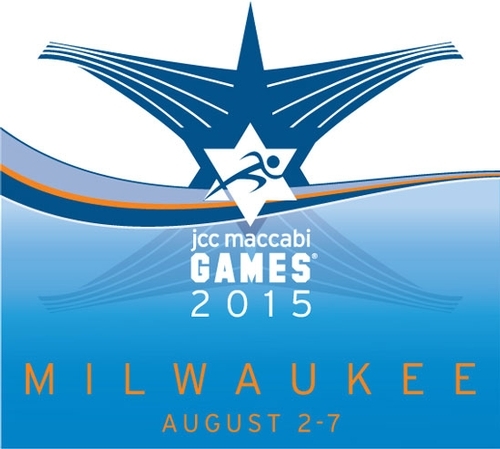 The last time The Games were hosted in Milwaukee was 1997, the first year that the JCC Maccabi Games were hosted in 6 cities across the United States at the same time. I strongly encourage anyone and everyone to get involved in the JCC Maccabi Games. When we polled Team Milwaukee alumni athletes on their experiences at The Games, they only had great things to say, especially about the host family experience. Seeing that we are hosting The Games this year, only 198 days away, we are in charge of the Host family experience. Becoming a host Family is one way to get in The Games. Host families will take 2 or more athletes into their homes and welcome them into their family for the week here in Milwaukee. Families can show the athletes what #BeMKE is all about and there is no better way to showcase what Milwaukee is all about than first hand experiences. Host families will interact with the athletes on a whole different level during The Games. Teaching the athletes about Milwaukee, showing them the good places to eat, what Milwaukeeans favor, and why we are so proud to call Milwaukee our home. When the delegations start to leave it will be difficult to part ways with their host families and seeing that is a prize within its self! If you are interested in becoming more involved in The Games today, please register at www.jccmaccabigames.org/registration or you can contact me at 414-967-8181 or cmindt@jccmilwaukee.org with any questions. The clock is ticking! August 2nd will be here sooner than we think! Get in The Games today!